A UK mother has come forward announcing she will sue the government because her son developed narcolepsy following his swine flu shot injection. 42-year-old civil servant Caroline Hadfield says that her 7-year-old son Josh hasn’t been the same ever since he received GlaxoSmithKline’s Pandemrix vaccine more than two years ago. “He was a perfectly healthy energetic four-year-old before the vaccination, but within two weeks he was getting more tired and after three weeks he was sleeping for 19 hours,” Hadfield told The Sun, lamenting the day she’d been duped into getting the vaccine. According to The Sun, Hadfield allowed the vaccine when she was told her son was “at risk” of contracting the swine flu in January 2010. However, a recent unnerving study reported by the Health Protection Agency (HPA) says that children given the vaccine were ten times as likely to develop narcolepsy as those that had not been given the shot. An astounding 795 cases of narcolepsy have been reported since the drug was introduced in 2009. The vaccines were administered to an estimated 30 million people throughout Finland, Sweden, Norway, Ireland, and France as well, all of which have seen spikes in narcolepsy cases. Hadfield and her husband have now joined a group of parents aiming to hold the government accountable for providing and promoting an unsafe vaccine. “The Government had a knee-jerk reaction to swine flu and put out this vaccine, giving it to very young children,” stated the understandably irate mother. 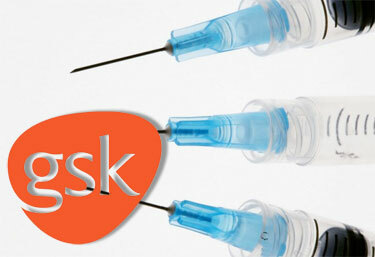 Despite the HPA’s study results, pharmaceutical giant GlaxoSmithKline (GSK) has not fully owned up to the vaccine’s side effect. Last Friday, they issued a statement saying that narcolepsy “is a complex disease” whose “causes are not yet fully understood.” Instead they blame “genetic and environmental factors,” absolving themselves of any guilt, and therefore liability. “It is crucial we learn more about how narcolepsy is triggered and how Pandemrix may have interacted with other risk factors in affected individuals,” the GSK press release stated. Hadfield says the government – and in particular, the Department of Work and Pensions, who administers Vaccine Damage Payment funds to victims of adverse vaccine side effects – needs to answer why, in the face of overwhelming evidence, they have still not approved coverage for narcolepsy sufferers. “That is the first report I have seen that has been published which shows that there is a ten to 16-fold increase in cases since the vaccines was given,” Hadfield told The Sun.